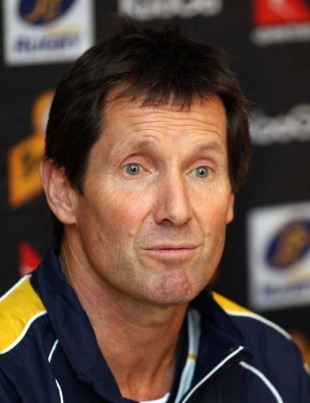 Former Wallabies coach Eddie Jones has complete faith in Robbie Deans as the Rugby World Cup looms. Jones, who led Australia to the final of the 2003 Rugby World Cup, has backed Deans to take the Wallabies forward despite recent troubles against England and an uninspiring performance against Ireland, in which little momentum was gathered despite a 22-15 win. The Tri-Nations lands in Australia on July 24, when the Springboks are the opponents in Brisbane. ''Robbie Deans is a very good coach,'' Jones told The Sydney Morning Herald. ''He's experiencing the problems any national coach does when he's in a country with a small playing population. He doesn't have the depth and quality of players to be consistently good. Jones also had words of support for under-fire midfielder Matt Giteau, whose place in the side has been questioned after a series of poor place-kicking displays.